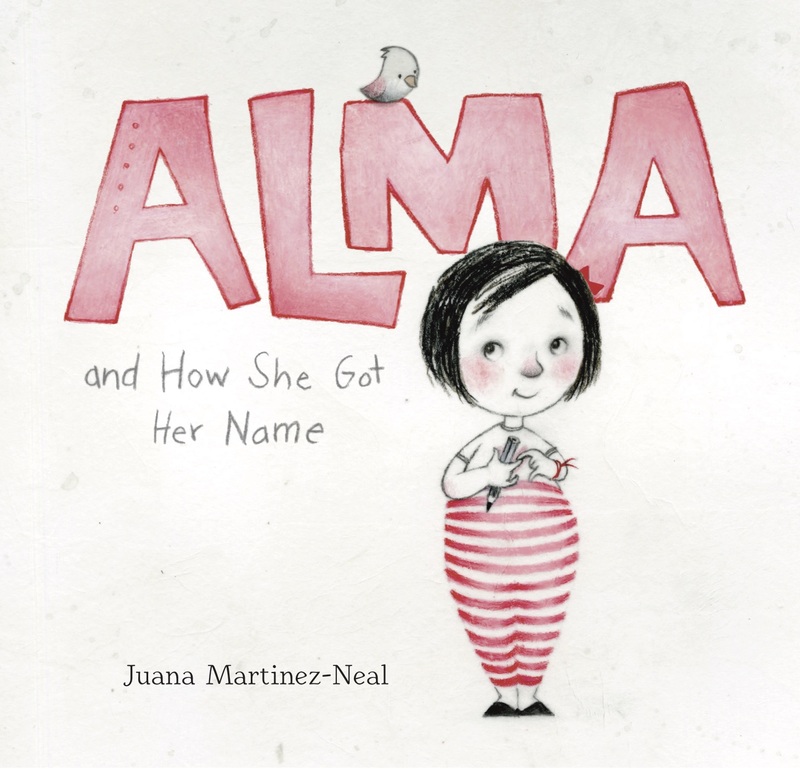 Juana Martinez-Neal joins us today for the cover reveal of her brand new picture book, Alma and How She Got Her Name! Watch the video below, then keep reading to learn more about the inspiration behind the story. We understand that, like Alma, you once had misgivings about your name. How did your own story inspire this book? Juana: I was confused with my name. I liked it and I had to since it was my name. But I always thought it felt too old-fashioned. Then I started noticing that adults wouldn’t call me Juana, but “Juanita.” And this included my parents. The questions was: why? Could it be that even my parents thought the name was too harsh? I have yet to answer those questions! The first sketches and drafts of the manuscript of what is now ALMA included my parents and myself as the main characters. It was the story of my own name, and how unsure I was of it being right for me. At some point, the story changed. The book became about Alma and how she got her name. I believe the change gave me the distance I needed to move the story to what it is now. Now, if you were to ask me exactly how, why, or when I made the book about Alma, I wouldn’t be able to answer you because, interestingly enough, I can’t remember. Juana: Each spread in the book changes the tone of the story, and calls different emotions to the reader—or so I hope. It is impossible for me to pick just one spread to mention. With that said, I cannot wait to hear what spread or part of the book is the favorite for each person who gets to meet Alma and her story. Alma’s ancestors are each depicted on a single page, and yet you gave them so much life. What was your illustration process like for those scenes? Juana: This is really exciting to hear! Each of Alma’s relatives was based on one or two of my relatives. Some I was close to, some I met for a short period of time before they passed, and some I only knew through the stories my parents shared of them. Illustrating Alma’s relatives involved many layers and revisions—lots of both. If I was working on a relative who I only knew briefly or not at all, I dug through old family photos until I found the image that told me the same story I grew up listening about them. Then I moved on to sketching them until I felt happy with what I had on the page. The details that completed each of their stories in the book were added later. I’m grateful for deadlines, because if I could I would still be adding details. Thanks for sharing the book cover for ALMA with us! Is there anything else you’d like to share with our readers? Juana: We will be able to follow the story of Alma in English and Spanish because the book will be released in both languages simultaneously on April 10, 2018. This is very meaningful to me because Spanish is my first language, and it was one of the reasons I chose to work with Candlewick Press. I really hope ALMA sparks lots of conversations about family, heritage, and culture; and that reading the book is just the beginning of a journey of self discovery and identity, a journey like Alma’s. Thanks to everyone at All the Wonders for the opportunity to share the cover of Alma and How She Got Her Name . . . or Alma y cómo obtuvo su nombre. Whichever one you like the best! Gracias! Thanks for sharing Alma with us! Alma and How She Got Her Name will be on sale from Candlewick Press beginning April 10, 2018. Juana Martinez-Neal is the daughter and granddaughter of painters. She started her story in Lima, Peru, where she attended the School of Fine Arts at Pontificia Universidad Católica del Perú before moving to the United States. She received a Grand Prize from the Society of Children’s Book Writers and Illustrators at their annual Portfolio Showcase, and one of her books was named an International Board on Books for Young People Honor Book for Illustration. Alma marks her author-illustrator debut. 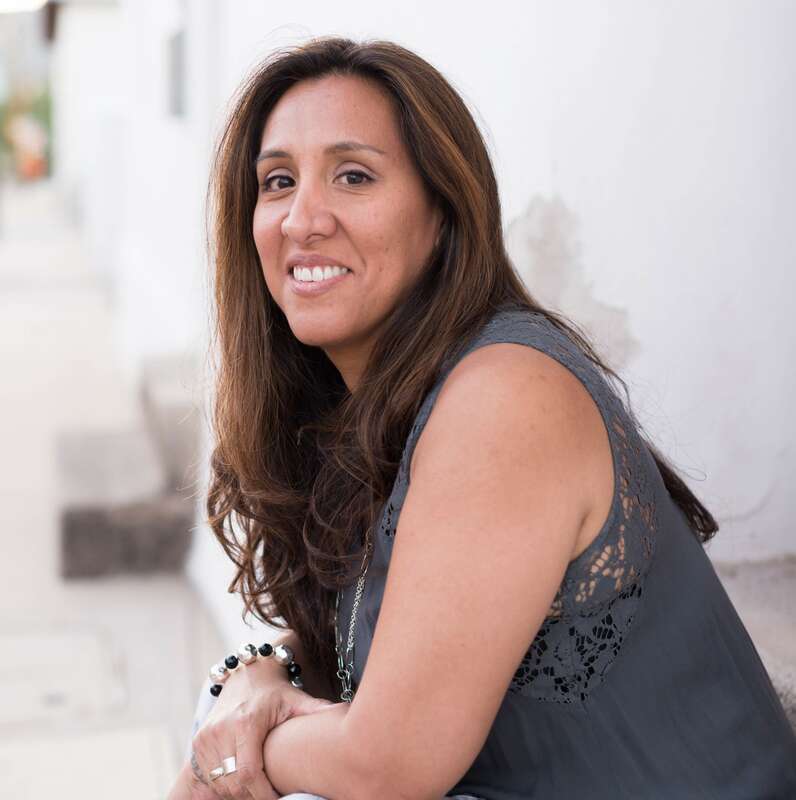 Juana Martinez-Neal is still writing the story of her life, with the help of her husband and three children, in Arizona.